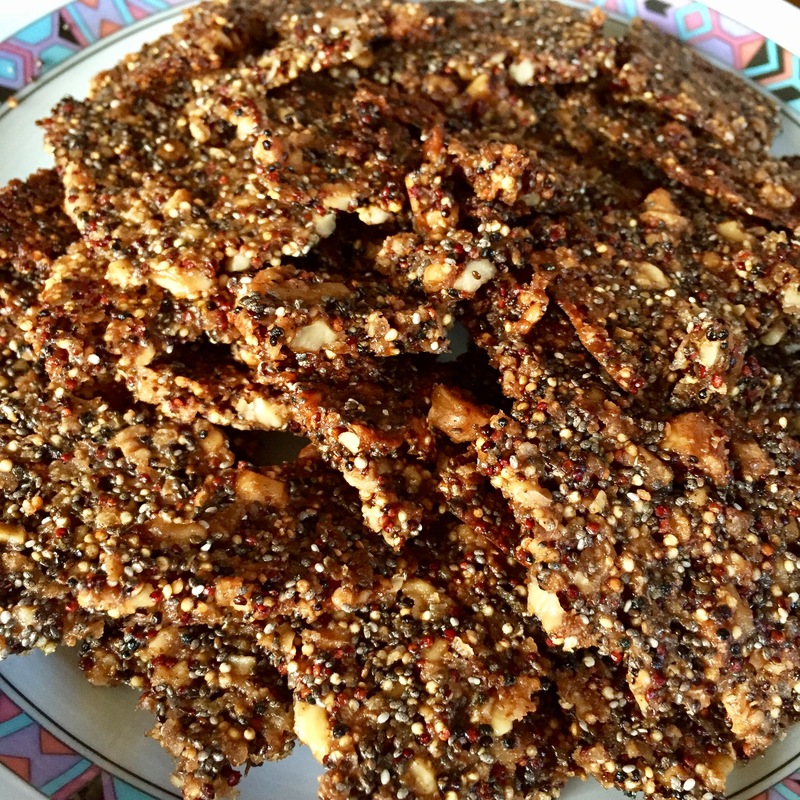 This quinoa brittle is full of energy, delivered in the form of saturated and unsaturated fats and glucose. It is gluten free and vegan and the nuts in it can be replaced with others in case of other allergies. Mix everything together, then let the dough sit for at least 10 minutes. Spread out over a baking tray lined with baking parchment afterwards, pressing it down a little with the back of a tablespoon. Bake them for 15 Minutes on the middle rail. Then let it cool down and break it into pieces. This recipe is based on a non-glutenfree recipe from the NDR.